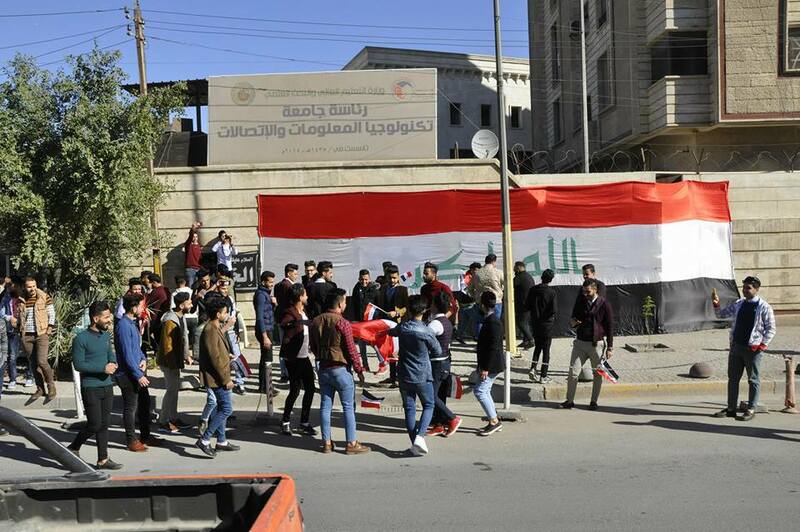 University of Information Technology and Communication Organized a Festive Celebration on the Day of Victory. 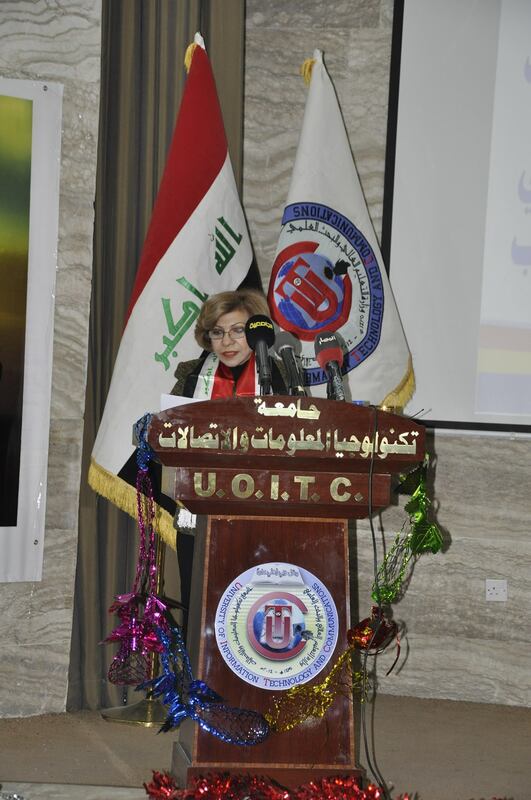 The Presidency of UOITC and ICCI held a festive celebration on the day of victory and liberation achieved by our security forces and popular mobilization forces against terrorism. 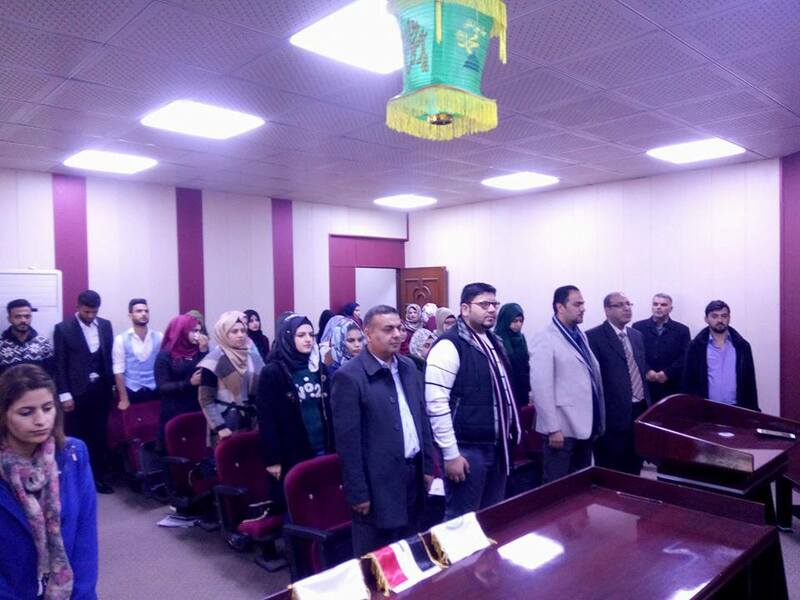 The celebration, which was sponsored by the president of the university and the institute the Prof. Dr. Abbas M. Al-Bakry with the attendance of lecturers, employees and students of the university as well as with the presence of a representative of one of the popular mobilization forces. 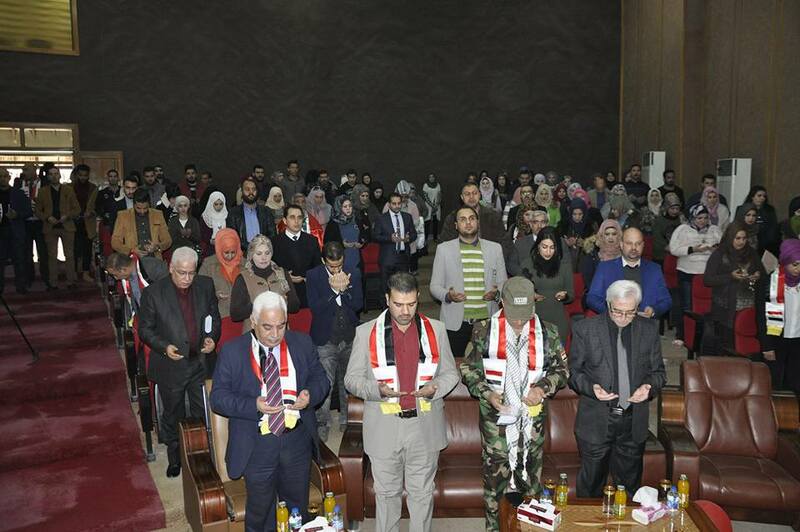 The celebration included several activities started with reciting verses from the Holy Quran followed by reciting Al-Fatiha for the souls of our martyrs who sacrificed by their pure blood for the homeland and honor, and then the national anthem was played. 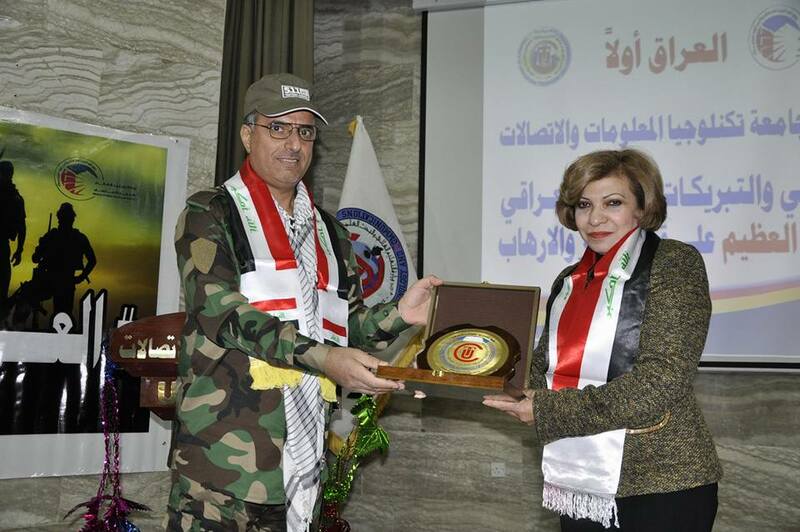 Jane continued “In order to preserve this victory, we must continue in rebuilding, reconstructing and returning the displaced people and we must take care of the families of heroic martyrs who sacrificed by all their own for the defense about the homeland". 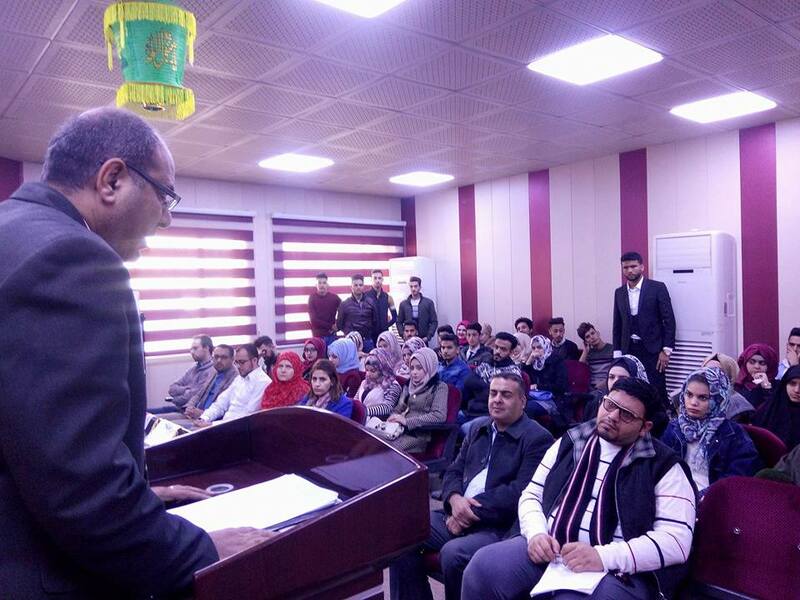 She also said "We also encourage students to excel and achieve academic victory through success and scientific participations in international forums. 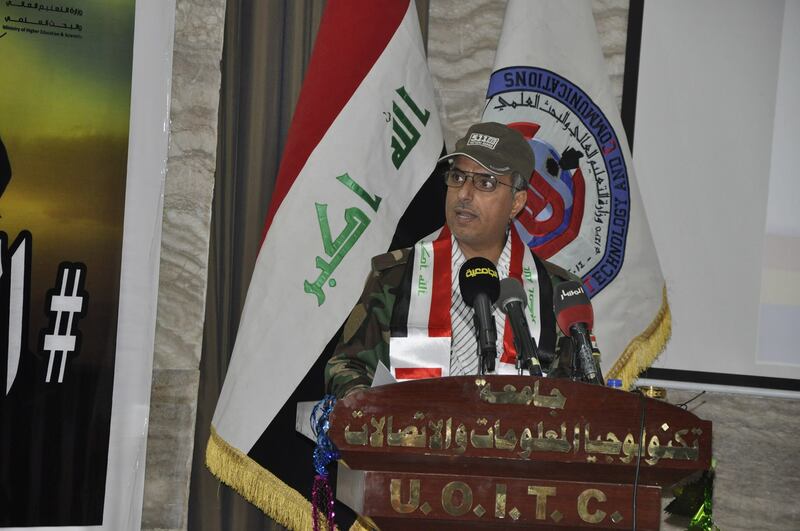 The representative of one of the factions of the popular mobilization forces, Mr. Saad Sahib the representative of the seventeenth brigade of the forces of Saraya Al-Jihad said “This victory achieved by the honorable people of the country, especially the Grand Ayatollah Al-Sayyid Ali Al-Husseini Al-Sistani, the brave Iraqi army, ministry of the Interior, as well as all the popular/tribal mobilization forces, thanking all those who contributed in this victory. 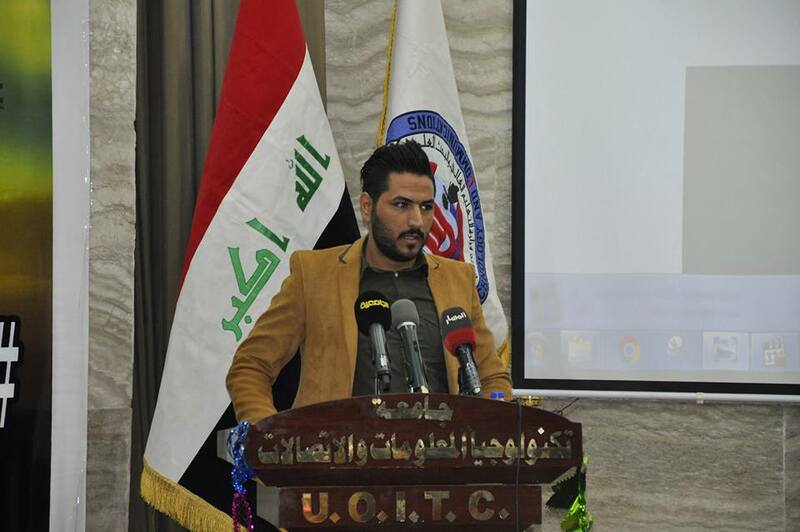 Sahib continued “the thing that maintained on the unity of Iraq is the wise advisory opinion of Imam Al-Sistani that maintained the dignity of Iraq by the hands of the honorable people and this victory is the result of their pure blood bleed in the battle, and so on from all the academic community it is required to increase the momentum of the great victory through continuing in learning sciences, doing the best for innovation and proceeding to reach to higher level in technology and scientific development. 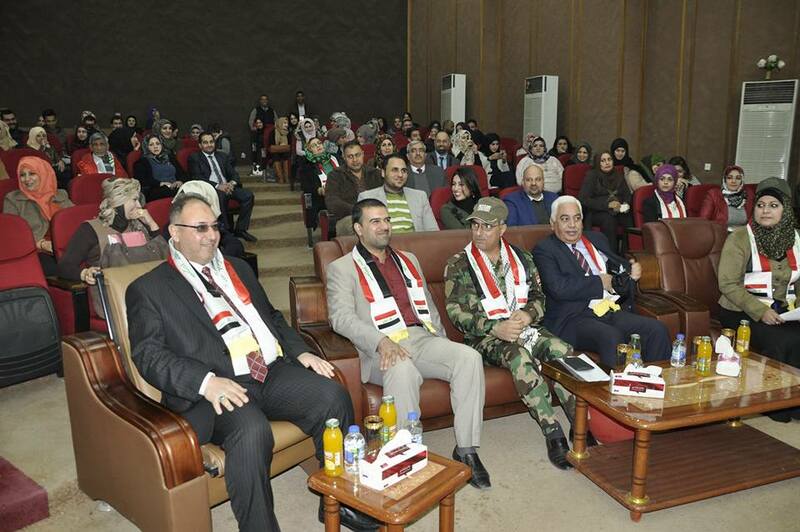 Then, a documentary film was presented about the occupation of the provinces followed by liberation operations in which our security forces participated by all their divisions of the army, the police, the anti-terrorist apparatus and the popular/tribal mobilizations forces who introduced the finest heroic events and sacrificed in order to raise the Iraqi flag on the last point of the Iraqi-Syrian borders for eliminating on this terrorist organization. And followed by words and national songs about the patriotism and the achieved victories. 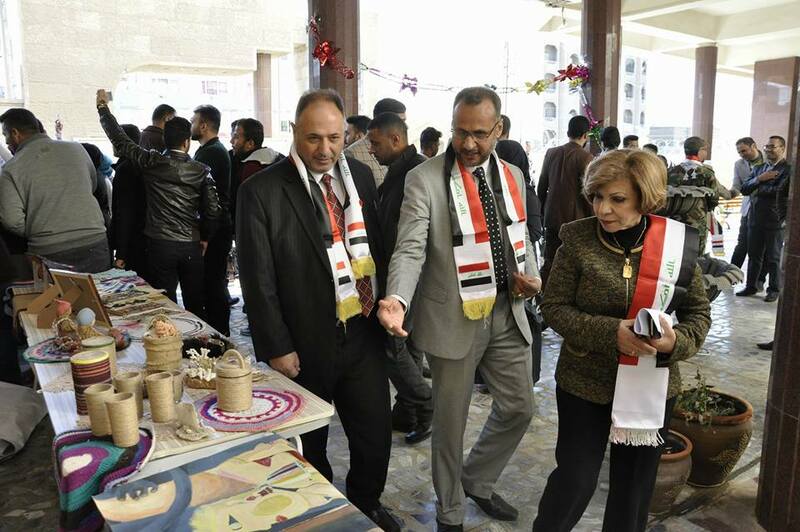 The president of the university inaugurated the exhibition of digital arts, handicrafts and calligraphy, this exhibition was organized by the student activities department at the university with the participation of a number of university lecturers and students. 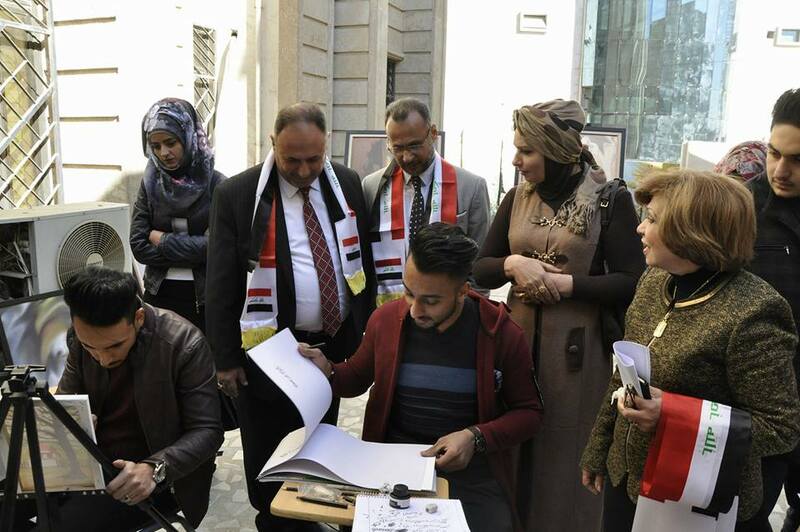 In addition, student activities department at the Business Informatics College participated by presenting art scene that included scenes for reviving the hopes and building the future of the country after liberation and encouraging young people to participate with the security forces to complete the steps of liberation by building and reconstruction. 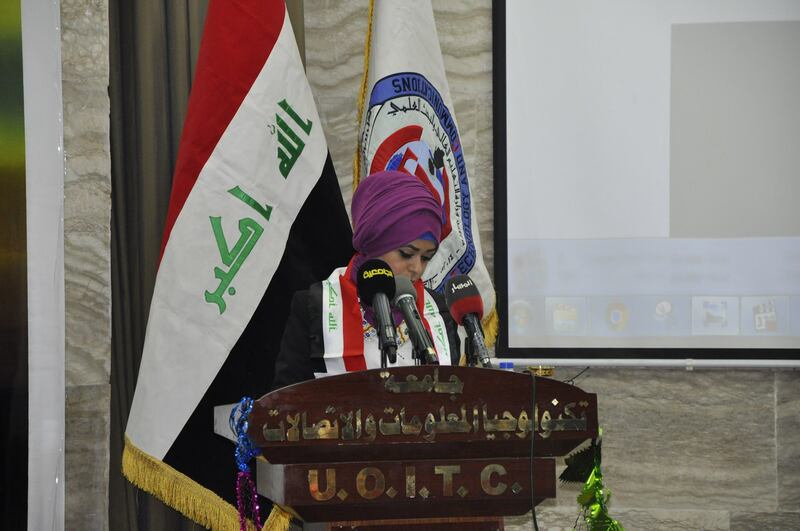 On the other hand, the college of Engineering at UOITC organized a celebration in this occasion included words and poetic poems about the victory of Iraq, its people, its army, and its history against the enemies of humanity the ISIS. 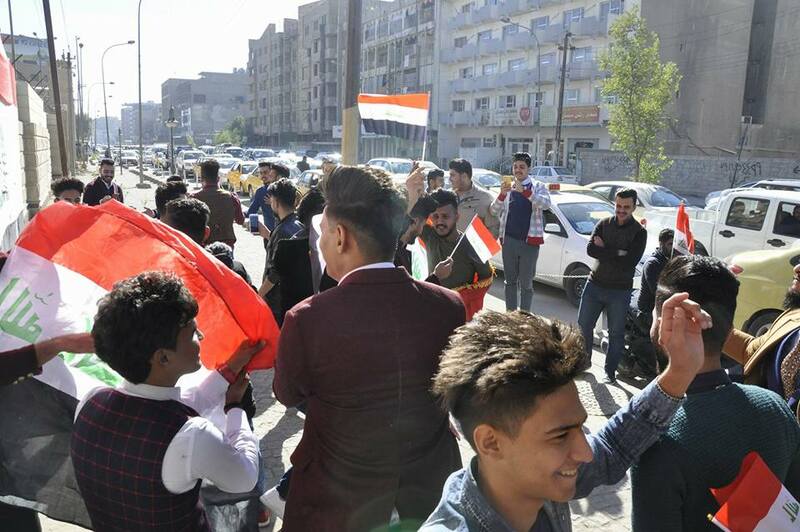 And then a group of students gave sweets and Iraqi flags to the vehicles and pedestrians near the university to raise the spirit of joy and pleasure in this great victory.